Waterproof foundation can prove helpful. Use waterproof cosmetic foundation when working out, on rainy days or during particularly emotional events. Wearing waterproof foundation will also ensure that makeup is left on the face and not on clothing. Waterproof makeup is designed to last all day and the best waterproof makeup will not come off until it is purposely removed. Most of the waterproof foundations in the following list cost about $25 and up. Dermablend Makeup is a waterproof makeup that will not come off until it is taken off. Setting powder should be applied over the makeup to prevent transfers and smudging, according to the Dermablend site. The site claims that the formula for Dermablend will last up to 16 hours if it is applied correctly with the Dermablend setting powder. It can be worn daily as a full coverage foundation. Dermablend is used to cover flaws, such as dark spots, birthmarks, scar and Vitiligo. Dermablend can also camouflage some tattoos. Covermark is a concealing, waterproof make-up that will withstand sweating, swimming, and it will not rub off, according to the company's website. The sheer Face Magic product from Cover Mark is available in a tube as a cream. It provides a satin finish that is water resistant. Face Magic and other CoverMark products must be removed with cleansers or removers that are especially formulated for waterproof makeup. A casual wash with soap and water will not effectively remove the cosmetic. The CoverMark maximum coverage concealer, more concealing than the Face Magic, is also waterproof. It is packaged in a small jar and can cover almost any facial flaw. It can last for 24 hours. Era Spray On Foundation provides a high definition airbrushed look that is waterproof. Curious about how to use an aerosol foundation? Here is how Era Spray On is applied. Shake the aerosol can to mix the foundation. Shake it well. Use a sponge to apply in places where extra coverage is needed. Cover clothes with old towels or paper towels. Hold the can about 8 inches away from the face. Lightly spray the foundation on the face. Pat the foundation into the skin with the accompanying buffer and expect flawless coverage that is waterproof. Era Spray On Foundation is one of the more expensive waterproof cosmetic foundations, costing about $55 a can. Only one shade is appropriate for people with deep skin tones. The foundation is sold online. Christian Dior Forever Extreme Waterproof Makeup, costs about $46, and reportedly lasts all day and contains a moisturizer. Although this foundations has 11 shades, all of the shades are versions of beige. Dior has not included any waterproof foundation shades suitable for deep skinned ladies of color. New technology in waterproof foundation translates into foundation that really lasts through a strenuous workout or a dip in the pool. 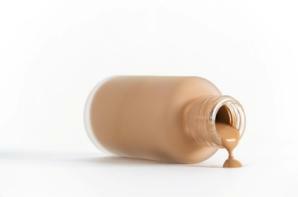 Most foundations that are waterproof provide full coverage, and may tend to be thick when worn. Although these foundations can be worn every day, some ladies may prefer to wear them during extreme heat or while exercising. Whether they are worn daily, depends on how comfortable the products are to the wearer.